CHARLOTTESVILLE, Virginia, September 23, 2011 (ENS) – Human use of Earth’s natural resources is making the air, freshwaters and soils more acidic, finds new research by the U.S. Geological Survey and the University of Virginia. The researchers found that the mining and burning of coal, the mining and smelting of metal ores, and the use of nitrogen fertilizer are the major causes of chemical oxidation processes that generate acid in the Earth’s surface environment. Many earlier studies have shown that the absorption of the greenhouse gas carbon dioxide is making the oceans more acid. “We believe that this study is the first attempt to assess all of the major human activities that are making Earth more acidic,” said USGS scientist Karen Rice, who led the study. 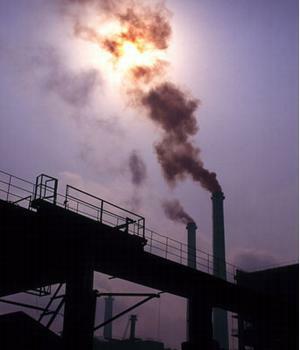 Burning coal has produced acid rain that has increased the acidity of freshwater bodies and soils. Drainage from mines has increased the acidity of freshwater streams and groundwater. The fertilizer nitrogen added to crop lands has increased the acidity of soils, the scientists found. Previous studies have linked increased ocean acidity to damaged ocean food webs, while increased acidity in soils has the potential to affect their ability to sustain crop growth. To examine the global impact of acidification, the researchers developed a series of world maps to show current coal use, nutrient consumption, and copper production and smelting by country. By combining this information with the anticipated population growth through 2050 and the impact of changing technology, regulations and other factors, the researchers address shifting trends in acidification. To look at the impact of the acid producing activities, the researchers characterized the scale of environmental damage as local, regional, global, or some combination of the three. Generating power by burning coal, for instance, can have local, regional and global impacts. Locally, it can cause acid mine drainage where the coal is mined; regionally, burning it can cause acid rain; globally, the increased carbon dioxide in the atmosphere increases the acidity of the ocean. The scientists note some progress in reducing the effects of some of these activities through increased regulations and changes in how the minerals are mined and used in some parts of the world. But, they observe, other regions are expanding their use of these resources and increasing the effects of acidification. “Exploitation of coal has grown in China where the same environmental protections are not in place,” Herman said.